The mystery world lost another author today when Barbara Parker died at 5:30 this morning, after a long illness, according to Elaine Viets who wrote to fans, readers and authors on DorothyL. Parker gave up practicing law in order to write mysteries. 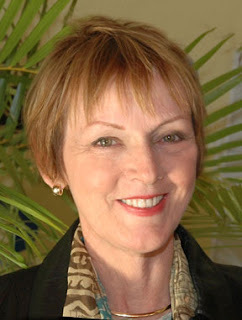 She's best known for her “Suspicion” series featuring Miami lawyers Gail Connor and Anthony Quintana, although she also wrote standalones. I was lucky enough to meet Barbara when she appeared at our Lee County Reading Festival in Ft. Myers, FL. I'm sure Elaine won't mind if I pass on the closing details from her email. and indicate that it is for the Author Sponsorship Fund. Barbara Parker will be missed by family, friends, and all of us mystery fans who appreciate the time and talent of our favorite authors. It is, Yvonne. I'm sorry for her family, and I'm sorry for us, the readers. I've loved Barbara Parker's books and will miss them and her. May she rest in peace. Thank you, Kay. There's nothing to add to that. I was on the MWA membership committee that Barbara helmed and am shocked and saddened. Not only was she conscientious, kind, and smart, she was funny and down to earth. Like you, Cara, I was shocked and saddened. I didn't know her as well as you did, but she was so nice the year she appeared at the reading festival. It's so sad. On, a lighter note - I'm looking forward to seeing you Wednesday! How sad. I went to her site and she had written a lot of books. I'll get one or two and read them in her honor. I created an online memorial for Barbara. Please visit and leave a message, light a candle, share a picture, etc. Thanks. That's such a nice idea, Mel. Thank you. Thank you, Henri. I'm going to the site now.